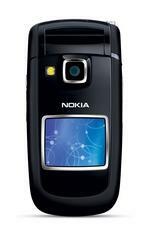 CTIA 2006 -- As part of an introduction of three CDMA handsets, Nokia announced the 6175i this morning. As a CDMA clamshell style handet, the 6175i is a rare combo from GSM/candybar heavy Nokia. The Nokia 6175i is scheduled to ship in the second half of the year.